How much scare can you take? Regardless of age, enjoy three of our frightful attractions and a horror drive-in movie. Just want to see the movie? Admission is $8.00 for Adults & $5.00 for Children. 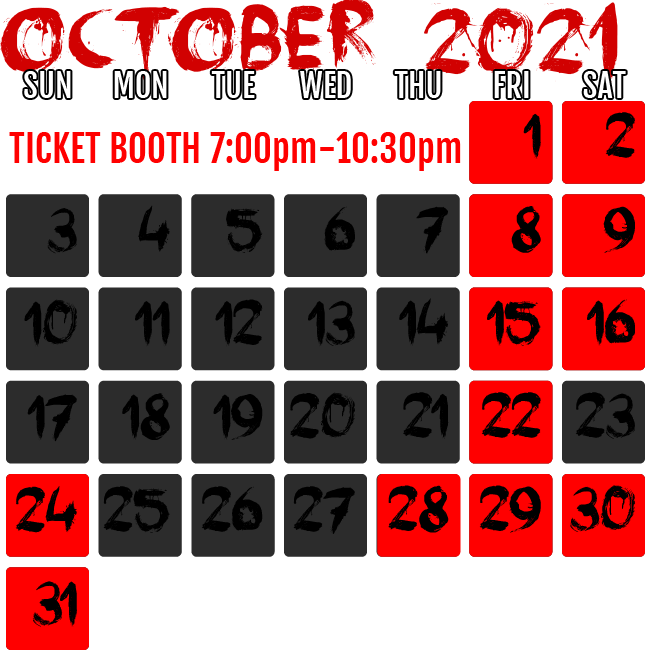 Our ticket booth opens at 6:00 pm and closes promptly at 10:30 pm; the last ride leaves at 11:00 pm. JOIN OUR MAILING LIST & STAY UP-TO-DATE! Please download our Word Application or PDF Application, fill it out and email it to dcastelli@circleofscreams.com.